Comedians tell their coming out stories. YOU can too and win prizes! Remember when you came out of the closet? Remember how dramatic it was back then, but now at second glance, wasn’t it hysterical? Comedian William Mullin hosts a group of comedians and performers who relive their hilarious coming out experiences. Each night prizes are given away during the show. One lucky audience member gets a chance to go on stage and tell his or her coming out story And receive a $25 gift card from Human Rights Campaign Store. Sign up before the show for a chance to tell your story and receive free tickets or gift cards to Provincetown stores! THIS YEAR JOIN FRANK DECARO, HEDDA LETTUCE (STEVEN POLITO), MIMI GONZALEZ AND MORE AS THEY TELL THEIR COMING OUT STORIES ON STAGE. 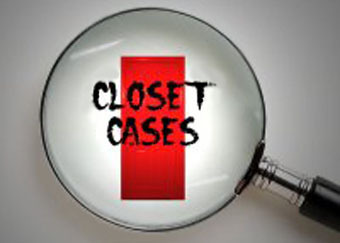 Closet Cases was created by NYC comedian Shawn Hollenbach. He also produces the award-winning Miss Fag Hag Pageant in new York City. Closet Cases has been a Critics’ Pick in Time Out New York and a homo must in HX magazine. The show features performers from Logo, here! 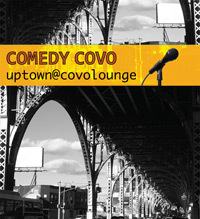 Networks, Comedy Central, VH1, MTV, HBO, NBC and up and comers with the most fascinating stories. Well, everybody break a leg for the rest of run’s performances. I need a favor: since we were leaving PTown that evening and the HRC store was closed, I was unable to use my gift certificate. How could I still use it? Would someone at the store next year really accept the certificate, given the nature of its look? On a side note, I would be happy to provide the text of my actual “coming out testimony” at the Congregational that I mentioned during my interview if that is of any aid in future endeavors.